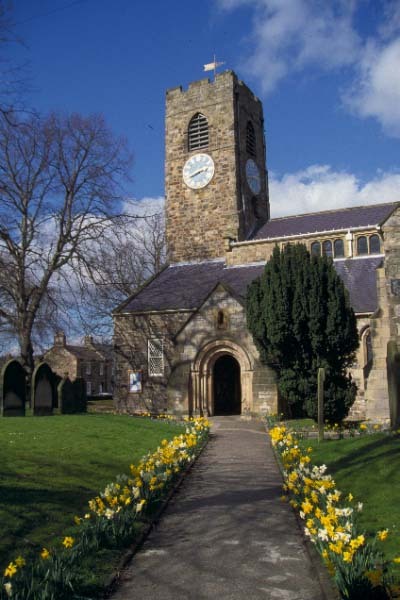 Corbridge is an attractive Town located towards the South of Northumberland just 18 miles west of Newcastle Upon Tyne in the heart of 'Hadrian's Wall Country'. Rising from Corstopitum, this was a Roman supply Town, feeding the troops on nearby Hadrian's Wall. Corbridge has an interesting history and has long been known for it's independent, boutique style shops from as far back as the 1820's. Many of these shop fronts still survive today and the Town still holds a lot of it's original character and appeal with ancient buildings, churches and nearby Castles. Getting to Corbridge by road is easy and very convenient, it's just minutes off the A69 West of Newcastle. Parking is limited to on-street in the Town except for a small parking area in the Market Place. Corbridge is also well served by Public Transport, with one of Arriva's main routes (Newcastle to Carlisle) stopping in Corbridge. This route connects Corbridge with Hexham, Haydon Bridge, Haltwhistle, Brampton and Carlisle as well as Newcastle. There is also a bus service that runs from Morpeth that goes through Corbridge on it's way to Hexham. There is a Train Station just outside the Town to the South of the River Tyne. Trains run regularly along this line between Newcastle and Carlisle in both directions. The line is operated by Northern Rail. 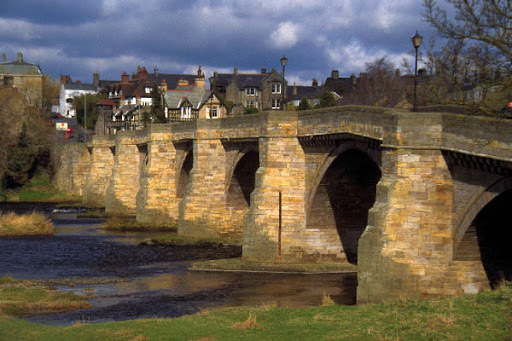 Corbridge is a quiet Town in the middle of Hadrian's Wall country. The area has many attractions of it's own that are worth visiting including the Corbridge Roman Town, the remains of a Roman garrison just to the West of the Town centre. There is also the fantastic Aydon Castle, and English Heritage Site that has been the set of many films including Elizabeth starring Cate Blanchett. Walkers and cyclists will also be pleased with the beautiful scenery on offer along with many nearby golf courses in the Tyne Valley. Corbridge has long been known for it's shops, even as far back as 1827 it was renowned in Victorian times. There are many of these shop fronts still visible today and the Town still maintains it's reputation for boutique, independent shopping. The Market Place has a Butcher and Baker (but no candlestick maker), a florist, food store, Thresher the off license, a sweet shop, Book shop, the Corbridge Tandoori and a wedding dress shop. The massively varied shops on the streets around should just be explored in person for their uniqueness and quirky variety including a large number of ladies fashion shops, gift shops and jewellers. For food shopping, other than the Butcher and Baker, on Hill Street there is a Co-op supermarket and the Corbridge Larder. I believe that the Corbridge Larder is something special that should be celebrated. The Delicatessen is unlike any other shop that you'll come across, they stand for quality and value above all else and have done for over twenty years. Their products are extensive and of the finest quality: over 100 types of cheese, 80 types of jam, marmalade and honey, home-made pies, quiches and tarts, Italian antipasto, Greek meze and fine cheese from their award winning cheese shop. Their coffee shop only serves what they sell, which is a statement of pure confidence in what their produce, and rightly so. You simply can't visit Corbridge without popping in to the Corbridge Larder, even if it's just for a coffee and to marvel at the range of produce. On the Eastern edge of Corbridge, just off the A69 is Brockbushes award-winning Farm Shop, a great place to stop off and pick up some amazing local produce if you are passing by. It's very conveniently located, has a lovely tea room and pick your own facilities when the fruit is in season. Corbridge plays host to he annual Northumbria Food and Wine Festival in October each year. Located at the Tynedale Rugby Football Club just outside Corbridge, this spectacular Festival is an absolute feast for the foodie. Held over three days the Festival has gone from strength to strength and brings together some of the top restaurants, producers, wine merchants, cooking displays, talks and live music acts that the region has to offer. The beautiful church in the centre of the Town is St Andrew's, a church of the 21st Century with a vibrant ministry at the heart of the community. The church is open every day and you are guaranteed a warm welcome "no matter what their story, background, marital status, gender, nationality or sexual orientation. We are an inclusive church." There is Tourist Information Centre on Hill St, information about opening times etc can be found on their website. There are two banks in Corbridge, a Barclays Bank in the Market Place and a Lloyds bank on Middle Street, both have cash machines. The nearest GP is in Corbridge Health Centre and the nearest hospital is Hexham General Hospital.